Macy's plans to run video ads on Facebook to round out its extensive Thanksgiving and Black Friday marketing. 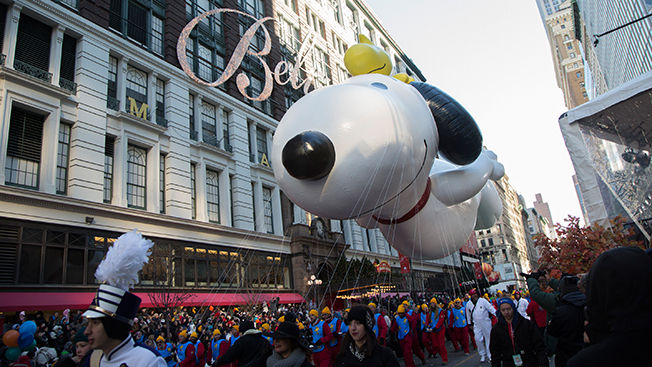 It already rules the holiday on live TV with the Macy's Thanksgiving Day Parade, featuring oversized iconic balloons making their way through midtown Manhattan, but now the retailer is looking to reach social media users with Facebook’s premium video ads. The videos will feature SpongeBob SquarePants, also a star of the parade, and start running on Thanksgiving evening. Macy's head of digital marketing, Jennifer Kasper, told Reuters that she hopes the Facebook ads will keep the brand "top of mind" for people who might miss the parade on TV. Fashion brand Kate Spade New York also is among the advertisers jumping into video on Facebook, which began offering the format widely this year. The fashion design house told Reuters it has reached more than 6.7 million people since it launched Facebook video commercials earlier this month. Facebook has reported that video content on the site is exploding—more than a hundred million videos are uploaded a month.